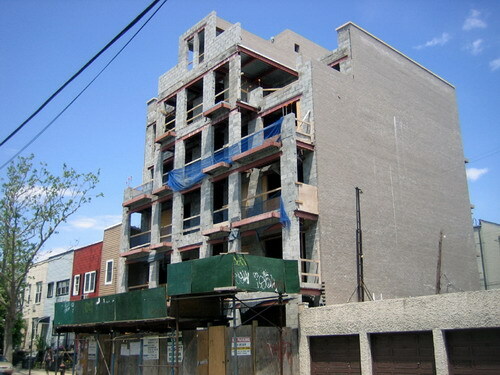 Our Greenpoint correspondent sent the image of this building rising at 130 Diamond Street. It's a Karl Fischer Architects project, which indicates that his prodigious output is spreading to Greenpoint. The building is five stories and will have ten units. It certainly looks big compared to its relatively diminutive neighbors. No rendering available, unfortunately.